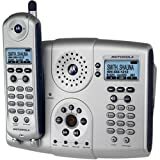 The Motorola MD671 combines 5.8 GHz digital technology, a stylish silver design, plenty of functions, and even expandability to six handsets, making it perfect for busy households. 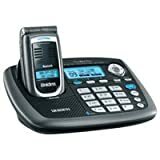 With dual keypads, dual displays (full graphic), and dual speakerphone capability, the MD671 also offers the convenience of caller ID and visual call waiting, so you always know who's calling. The MD671 includes one handset to get you started; it houses a wealth of great features. Selectable ring tones help identify callers, while three-way conferencing and convenient intercom functionality help you stay connected. Additional handset features include redial, flash, mute, hold, and a built-in battery meter with audible and visual alert signals that let you know when power is running low. The MD671 comes with everything you need to get started and is backed by a one-year warranty. We had a failure of the base unit for our Siemens Gigaset 4210 system, which made the whole system inoperative. Although this system is still under warranty and will be repaired, we never liked using it. Therefore, we decided to replace that system with a different one. 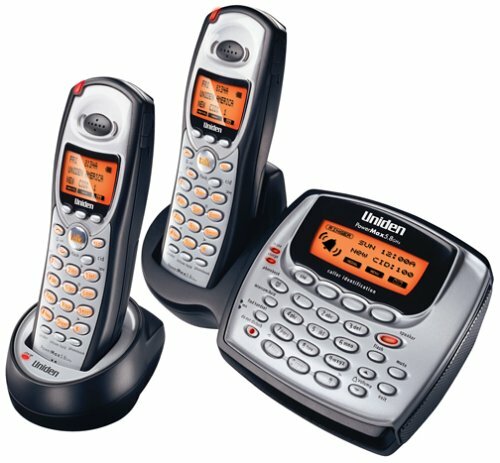 We considered 900 MHz, 2.4 GHz, and 5.8 GHz cordless phones. We did not have any requirements for extraordinary range or wireless LAN compatibility. The choices were numerous, but our final selection of a new Motorola MD671 system resulted after a compromise of our requirements. Our needs seemed to be simple, but just try to satisfy them in a cordless phone or phone system. While researching our choices, we came across a review that stated "... if these features are available in a cell phone, why can't I have them in a cordless?" We strongly agree with this remark, and we feel that the manufacturers should get their cell and cordless design teams talking to each other to exchange some of the good feature ideas. We did not have requirements for other features, such as intercom, so other reviews may be helpful when considering those features. We also did not want to get into a phone or system with an answering machine. After using the Motorola MD671 system for a few days, I can provide some pros and cons, from our perspective. You can see that it is a mixed bag that did not meet all of our requirements.  Very simple to set up and use. The menu is limited and intuitive. It is the polar opposite of our former Siemens phones. What a joy to see Motorola keep it simple.  The buttons have a good spacing, although they are small and hard to read, and a nice rubbery feel.  1400 mAh NiMH battery should have long life and does not need the discharge cycles that a NiCd battery does. It should have about 50% longer life than the Panasonic 850 mAh NiCd batteries.  The battery meter shows small increments of change, unlike the other phones that we tried. 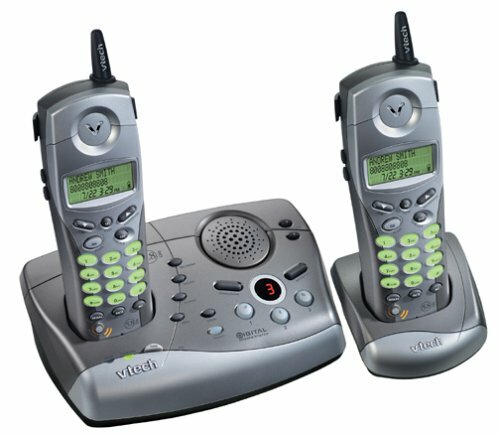 For example, our former Siemens handsets show remaining battery capacity in three discrete segments.  A spare battery pack can be inserted into the base unit to keep the phone system working during a power outage. Motorola estimates that the unit will operate for about 2-1/2 hours. No base-unit functions will operate on backup battery power, but the handsets will be fully functional. Note that handset batteries can be interchanged in the base unit for longer power-outage operation.  Sound quality seems indistinguishable from most corded phones.  Speakerphone operates great. 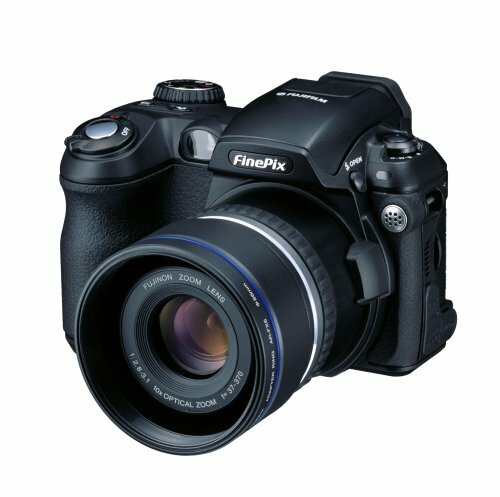 It has clear sound, and it is full duplex, although you will not see that it is in the user's manual.  Display uses large characters, making it easier to read, possibly even without your glasses.  Handsets have a rubber edges, which provide a comfortable, "grippy" feel. The handsets feel great in the hand and on the ear, and they have a solid, well-balanced feel.  Simple volume switch located on the rubber edge of the handset.  Easy to mute while using the handset.  Voicemail light works great. Not only does the base unit flash, each handset flashes when there is a message waiting.  Small antenna looks good, never gets in the way, and is less of a temptation to our bird.  Each handset and the base operate independently. Therefore, when a missed call is registered on the display, it must be cleared from each handset and base to have a "clean slate" waiting for the next set of calls. Likewise, each CID register must be independently cleared. It would be more convenient to have an action at one unit affect the whole system.  Blue backlighting is a little difficult to read. Perhaps white or a light shade of green would be easier to see.  User's manual is too brief. It does not include some of the features of the phone, such as pressing a letter on the keypad to quickly go to the start of that section of the phonebook.  No phonebook sharing, which means that you need to key in phonebook entries into each of your handsets and the base individually. This feature could be good for families with multiple teenagers, who each want to have their own phonebook that cannot be changed by another handset.  No one- or two-number speed dial. This one I just can't understand, because cell phones and most other cordless phones have it. On this phone, you either need to scroll through the phonebook (you can use the shortcut described above) or sign up for speed dial from the phone company. We did the latter. 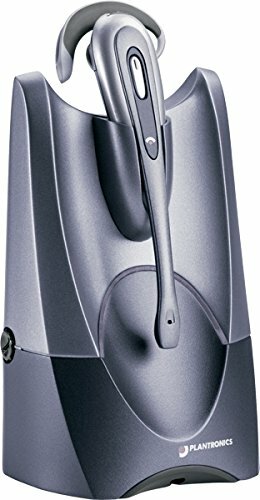  Handset does not stand up in a "normal speakerphone orientation." However, the belt clip and the battery cover keep the speaker off of a surface adequately to lay the phone down, buttons up. In this position, it will never fall over while using it.  Information is hard to find for this phone. 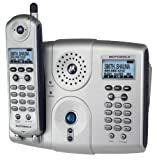 For instance, the Motorola site compares their cordless phones, and they say that this model has speed dial (it doesn't) and does not have redial (it does).  If you like to cradle your handset on your shoulder, this phone may be too slim. Overall, we think that we found an excellent cordless system, but we will have to use it longer to really have an adequate experience base for comment. If this phone had shared phonebooks and speed dial, we would "be in cordless heaven." I was looking for a phone in the 5.8 GHz frequency band so as to reduce the interference with a home wireless LAN. After using the phone for a few days I can provide some pros and cons. > Long battery life...thanks to a 1400 mAh Nickel Metal Hydride battery. Compared to our 2.4 GHz PANASONIC with NiCd batteries this is a marked improvement in battery life. On standby the battery lasts 3-4 days. > Separate Caller id. To delete the calls in your caller id list you have to delete them from the base and handset separately. All things considered this phone is a good buy. Great phone with superior reception and voice quality. 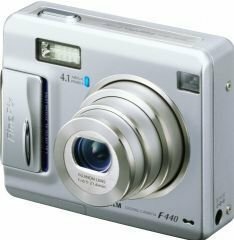 Stylish and more compact then the picture reflects. Large display on the base. My only complaint is that I have to clear the caller ID's for the handset and base independently. Would be nice if I could do both at the same time. Might be one of the pricier models, but worth it! I like this phone a lot more than I expected. It was easy to set up and it's easy to use. This is probably my fiftieth cordless - okay, it's more like my tenth - I go through phones for some reason. It ranks at the top. So far, the best cordless phone we've had. This phone has a nice, solid feel, uncluttered keypad, and the display is large, bright, and easy to read. We bought ours together with one expansion unit (MD61). Setup of the expansion phone was simple as well. Sound quality on both handsets is perfect throughout the house...no noise, etc. My favorite feature is the speakerphone capability on the handsets. 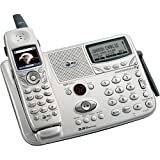 You can turn it on and off in the middle of a call, set it down on a table and continue your conversation hands-free, and it is especially handy when dialing into our phone company voicemail, or getting messages from work. 2. The wall mounting bracket causes the base unit to tilt upward too much when it's on the wall. This can make the display less visible from a distance or if we're sitting down at the dinner table. I fixed this minor issue by placing three wood shims behind the mounting bracket, to tilt the top of the unit forward so that it is somewhat more vertical. 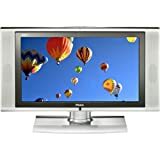 This is a great monitor!I used it for my first born son in October 2002 and had only 1 false alarm because he got in the corner of the crib!Then comes my second born son November 2003 and he used it up until he was a year old with the movement monitor and now I just use it for the audio part so I know if my boys are acting up in their room (yes they share a room) or if they get sick at night!I love this monitor and love the fact that it has battery backup so if the lights go out I still can monitor them! Recovering SIDS mom LOVES this monitor! When we lost our 3 month old baby to SIDS two years ago, we were afraid to have another child.After viewing the reviews here, we decided to buy this Angelcare Movement Sensor with Sound Monitor and have another baby. Our new baby is now 3 months old and I have been able to sleep and feel much more relieved than I thought I would of been able to feel.This monitor takes away that jumping up and down that I have done since Hayden was born.Even when our baby does wake up and I pick him up to change him, I know the monitor is working because it will have repeated loud beeping to alarm baby if he has stoped moving/breathing. The monitor sound is clear too.I can actually HEAR my baby breathe while he sleeps.We have not had any interference what so ever.If we did, there is a second channel to avoid any interference. I can not say how important it is to have one of these monitors.SIDS is real and this is just one way that I know I can save my baby from it. I can not put into words the peace of mind this product has given me!! !The only way my son would sleep on his own was on his belly.I was so afraid of SIDS that for the 1st 7-8 weeks of his life he slept on me. 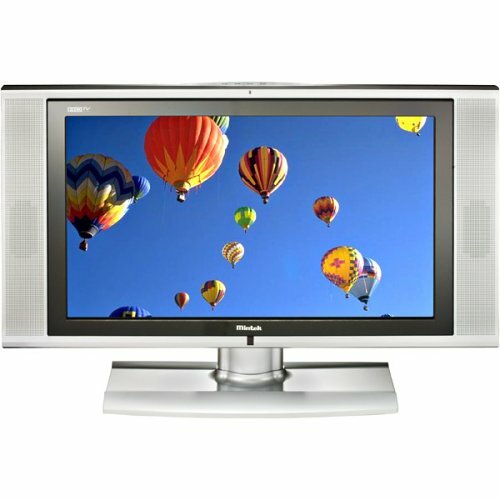 A friend of mine (also a new mom) raved to me about this monitor.I decided to order one.My husband was a little concerned about the price but was ready for me to sleep in our bed again so he agreed to get it.Our son is now almost 9 months and we've never had a problem with the alarm going off b/c he scooted out of range. The monitor picks up sound so good that when we go to bed we turn the volume on low b/c the sound is so clear we could hear our son snoring! Don't take that as a bad thing either.I have brought the parent's unit into the laundry room with me with the dryer going while he naps with the volume on high and I can hear him stirring. This is a wonderful product.The only bad thing is that I had to buy 2 others before discovering it! This monitor has worked very well for motion sensing but not great for sound due to the poor audio quality.However, we purchased a Sony BabyCall for the sound and now use both together.The motion sensor is AWESOME!I've never had a false alarm and it always goes off after 20 seconds on those occasions when I've forgotten to turn it off after removing her from the crib.I do have to agree with everything Graham wrote in his review about the design.That's why I didn't give it 5 stars.Even with the design flaws, it is well worth it for the peace of mind! I bought this phone a week ago and it's is the easiest phone to use. The clarity of the phone is the best. You can hear the the person on the other line perfectly. I have no complaints about this phone. It is worth every penney! Seems like a decent phone, no problems with static, works great outside....but at least one of the handsets has reverb when talking. For this reason, I'll probably return for another of the same or something different. An additional handset for Panasonic's KX-TG5100M 5.8 GHz phone system (required, sold separately), the KX-TGA510M offers all the exceptional features you expect from a top quality accessory. 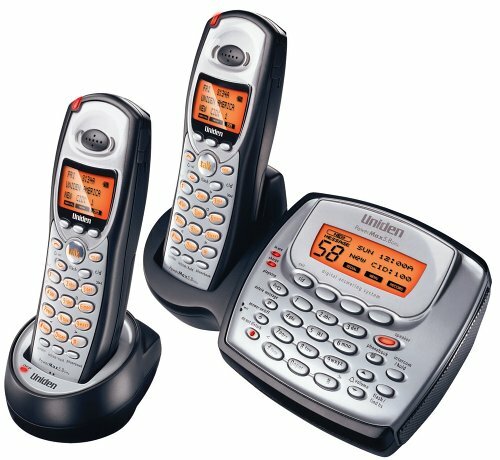 The four-line backlit LCD displays up to 50 phonebook entries for speed dialing convenience and are ready for caller ID with call waiting service from your local phone company. With this service, the names and numbers of the 50 most recent callers will be displayed, along with the time and date of the call. A built-in belt clip and headset jack provide comfortable hands-free operating options, and you'll have full operational access to your phone's answering system. The mute button provides far more security than simply placing your hand over the speaker, while the privacy button allows you to provide or prevent other handsets from participating in the call. Panasonic includes a one-year warranty covering parts and service. I have one base system and 4 additional headset in different rooms. We had no problem at all with the system inside or outside of the house (single level). That covers around 20,000 sq ft area. Caller ID works great. Answering system is OK (we only use one in-box and didn't even bother with recording our own outgoing message). No problem with 802.11b/g wireless computer network. Works with filtered DSL telephone line. Handset substained multiple drops by the kids and myself on hardwood floor. - have a mode that distribute the phone list to all the handset automatically. Right now I need to add a new number, then manually send the new phone list to each remote handset one at a time. I agree with all the positive reviews. My wireless network is unaffected by these phones and having a speaker-phone built into the handsets just floored me. The only gotcha which I haven't seen mentioned is the way numbers are stored in the phones. The maximum number of digits is 32 which isn't enough when using my calling card. You can't use multiple memory locations to store everything either since once the phone is dialed the phonebook isn't accessible. It's a nit but an annoying one on an otherwise fine phone. In general, I have found that whatever you can do from the base phone you can do at the handset also, including erasing all caller id at once, rather than one by one. This particular issue on how to erase either one or all the caller id's is on page 33 of the manual. 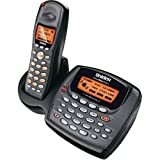 The manual can be found on Amazon.com's web page for either of the base phones that are required for this handset. First of all, this handset will not work alone. You must have the base unit, either the Panasonic KX-TG5100M or Panasonic KX-TG5110M 5.8 GHz DSS Expandable Cordless Phone. I have reviewed that phone elsewhere. This review is for this handset. 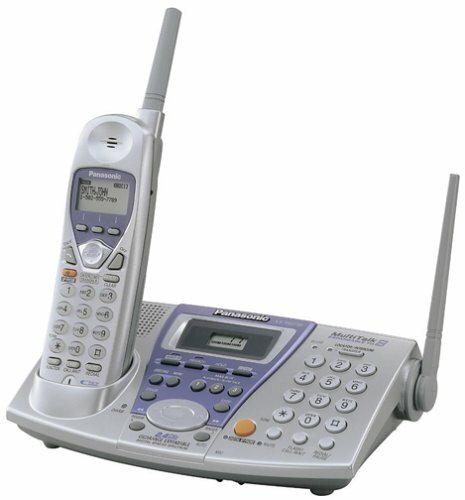 We purchased this particular handset to go with the Panasonic KX-TG5110M. I knew that this handset had to be "registered" with the base phone. I thought that it would be complicated or that I would have to dig out the manual, whatever. Not at all. We charged the new handset. The instructions appeared in the LCD screen of the new handset, saying exactly how to register the handset. We followed the very simple instructions, it worked, and we were ready to go. We put the new handset in the basement. I was very happy with the whole deal, including the great price. Highly recommended. 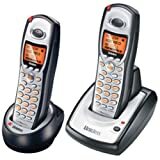 Great phones that work all around house. 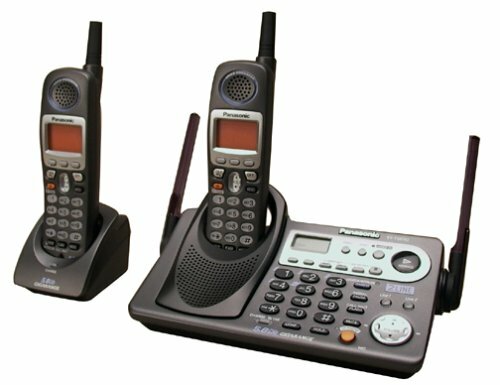 I have tried every cordless phones with my last batch (Siemens) being thrown away. Easy setup, just plug in, generally I have had problems with this. Have to delete each caller ID one-by-one, haven't read the manual might be an easier way. Overall, this is probably my favorite phone ever. I bought the television the other day. I was amazed! I hung it on the wall and fired it up. It looks wonderful! Colors are rich and vibrant. The sound system is very good (I hung this in the bedroom). The DVD player works well. The remote is well layed out but does not have a backlight feature. The box includes a stand and multiple componet wires. The stand comes off and it hangs nicely on the wall with a standard 100mm VESA mounting bracket. This is an amazing television for the price. You will not be disappointed. out the extra pictures I have posted above to give you a better idea of the unit. this Mintek beats it hands down (except for the size). blew me away. And 26" is a good size. I was worried it would be too small. It is just right. LCD TV can get. Excellent black levels, no motion trails in fast moving scenes. Bright and vivid picture. * I have not used (nor will I use) the composite or S-video inputs. So no comment there. for commuter use. Also, you can only use the DVI or VGA one at a time. Bummer. / CD-R / CD-RW / Kodak Picture CD / DiVX - - - Sweet! either control the playback yourself or put it on auto-matic slideshow. don't break it. But it is responsive and seems to be omni-directional. something goes bad. No comment on customer support. The manual is spares but enough to get you going. 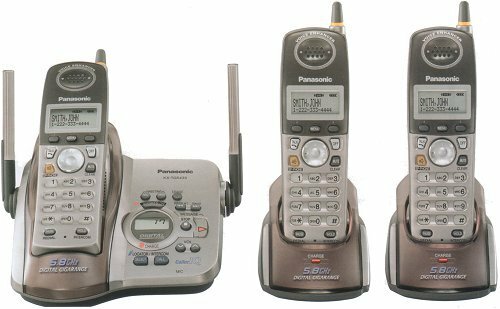 * Dimensions (with stand): 30.5" x 7.25" x 21.25"
The Panasonic KX-TGA520M handset is a supplemental accessory for Panasonic's KX-TG5200M-series phone systems. Operating on the same 5.8 GHz frequency as the base system and employing digital spread spectrum technology, this handset features all the basic functions you've come to rely on. Supporting caller ID/call waiting, the handset features a three-line backlit LCD to let you see who's calling when the phone rings, or who has called while you were out. 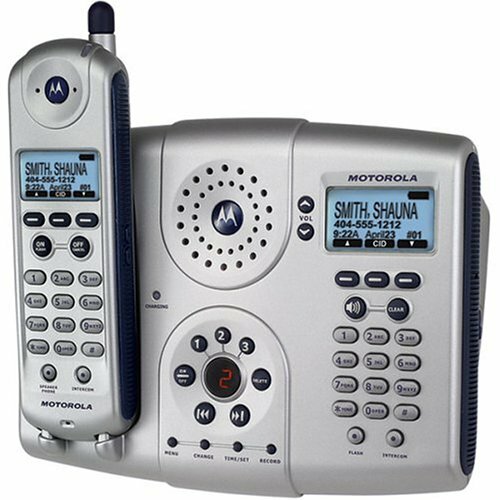 It also features talking caller ID, which audibly announces your caller's name or number through the speakerphone. A light-up antenna visually alerts you to new calls and messages. Additional features include an illuminated keypad, headset compatibility, and a variety of ring tones.